I suppose that's better than nothing! Great work for suggesting this to them - if it happens it'll be a great achievement! Must admit that I've never seen a single episode of the show, but I'll probably buy it if it comes out in the proposed boxset. 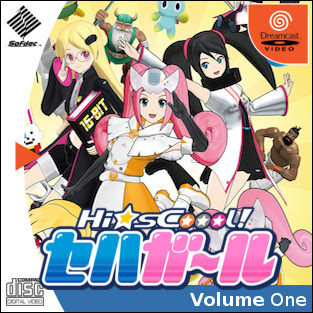 I love the concept of a DVD or blu-ray of this anime that could sit next to my Dreamcast or Saturn collection and just be lost in it heheh. I wonder how this concept would work for general releases of shows(unofficially of course)? Would be nice to have DBZ on Dreamcast.